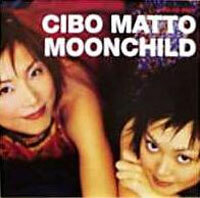 I'm not terribly familiar with Cibo Matto's music. Overall, I would descibe it as anything from a kinda lo-fi modern lounge music with Casio-sounding keyboards and chill-out beats to noise pop with a smattering of rapped lyrics and beatboxing. And their name means "crazy food" in Italian. Quite the eclectic band I must say. I really like their on this classic Nirvana track. The guitar is replaced by piano and the harmony vocals are kinda creepy. Great cowbell. Makes a classic song even better! There wasn't a video released for this as it was a B-side on a sampler single for the song "Moonchild" from the album Stereo Type A. The video below is an anime music video (AMV), which features scenes from Bleach. Personally, I don't much care for anime. I do own some of Hayao Miyazaki's films. Normally, I like to post only official videos or live videos, but I'll make an exception so you guys can at least hear the song.